Beer, beer, beer…..everybody loves it and the craft beers/ microbrewery explosion (especially huge in Maine) does nothing but widen and deepen the experience. In Freeport, we have two micro-brews, and there are many more very nearby! This week I did my fifth “Go-Trippin” interview with the lovely Colleen Croteau of the Maine Beer Co. www.mainebeercompany.com. David and Dan have only been selling beer since 2009, and only moved here in April of 2013, but have cut themselves quite a reputation in the region with many fine ales, and I have to say, I’m thoroughly relishing their porter in my frig. They do tastings in their Freeport facility, which overlooks their brewing operations. My son is going there tomorrow for a personal inspection (of course, I can’t fit it in!). We also have a Gritty McDuff’s here in Freeport., www.grittys.com, which is quite the local hotspot for imbibing, as well as excellent pub-fare. After the mosquitoes are fed, you might head out to their deck for a mix of Maine air and chilled brew! Although we’ve sadly been unable to get there yet, there is a Sea Dog Brewery (http://www.seadogbrewing.com) in this dizzying 90’ over the Androscoggin River location, in an old mill building in Topsham (right over the River from Brunswick) only about 5 miles north of Brewster House. Believe me when I tell you, their deck location is AMAZING!! Of course, Portland (15 or 20 minutes south of Freeport) has “brewery row,” including such notable names as Shipyard, Bunker, Geary, Rising Tide and so on!! One of the major challenges inherit in this beer tasting sport is the “who’s going to drive?” question! Well Bunky, we’ve got you covered! The aforesaid sweet Colleen was kind enough to share several local “beer tours,” whereby this question is effectively eliminated! In no particular order, first we have Zak and Don with the The Maine Brew Bus, out of Portland. Learn more about their tours $55 – $65) at www.themainebrewbus.com . Some include snacks too, others a full lunch, so all things considered, an excellent deal! As a second option, there’s Mark at Maine Beer Tours www.mainebeertours.com. 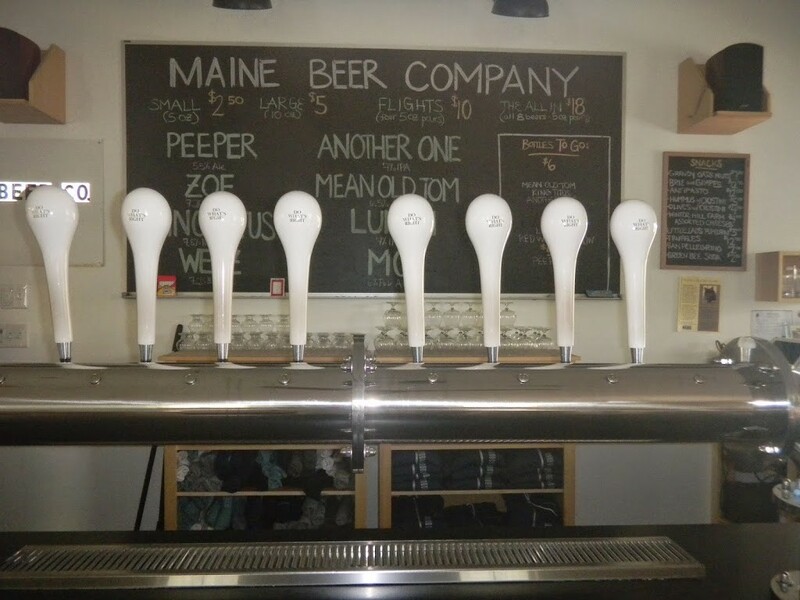 Finally, as a connoisseur of beer, in Maine you can be rewarded for these visits yu signing up for “The Maine Beer Trail Pass!” 10 visits gets you a hat, 20 a t-shirt. Think how proud you could be! Climbing K2 will seem trivial by comparison!! Go to www.mainebrewersguild.org for details. Of course, this is going to be exhausting, so you’re going to need a hell of a breakfast to get you started and a great bed to recover. Brewster House is the natural solution! Start with check our availability before booking your adventure, make a reservation and know we’ll have your back! !